Who: Truthdig is an award-winning independent news site with a history of muckraking and cutting-edge reporting. This December, we are heading to the U.S.-Mexico border to provide on-the-ground coverage of migrants from Central America—the so-called “caravan”—as they attempt to cross over and procure asylum. Our plan is to provide firsthand accounts from both sides of the border, embedding with coalition and humanitarian groups that are trained to accompany those attempting to navigate the complicated asylum-seeking process. What: Your generous contributions will fund our coverage of a situation that is increasingly dire. This is an exodus for survival. Some have traveled more than 2,000 miles, fleeing dangerous conditions in their home countries to seek asylum and work in the United States. As Truthdig columnist Sonali Kolhatkar detailed in a recent column, the Trump administration has responded to this refugee crisis by dehumanizing the migrants and casting them as dangerous, harmful hordes that must be prevented at all costs from crossing into the U.S. To that end, the president has deployed nearly 6,000 active-duty military personnel, as well as 2,100 National Guard troops, to the U.S.-Mexico border. 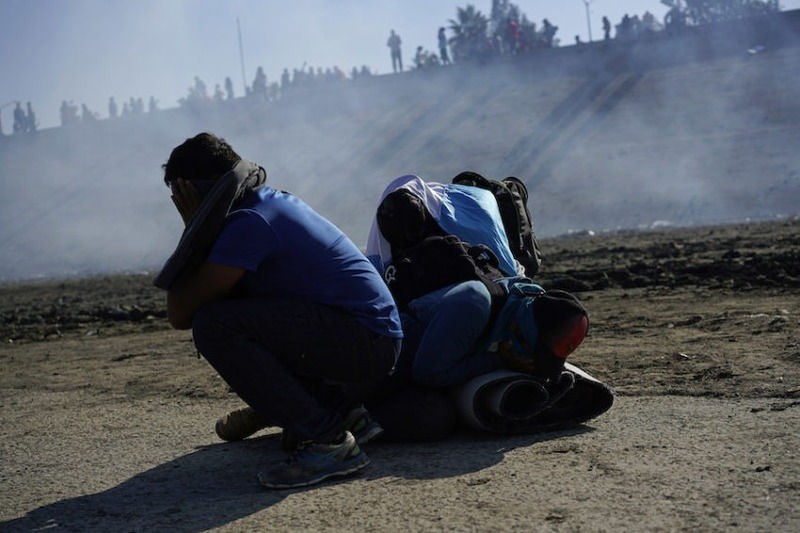 Where: Multimedia journalist Michael Nigro plans to travel to the U.S.-Mexico border to cover the migrants’ journey and to offer viewers and readers a first-hand look at potential confrontations between refugees and government forces. He’ll also bear witness to what happens by recording footage and writing about what he sees, as well as by presenting the stories of the migrants and those standing by to help them. When: From December 17 to 22, Nigro will be on the ground, moving between San Diego and the Tijuana migrant camps. How: As a Truthdig multimedia journalist, Michael Nigro will provide multimedia coverage of actions during his stint at the border. He will generate livestreaming, photo essays and original reporting that will be distributed through Truthdig’s website, social media channels, and newsletter. Background: In reporting for Truthdig earlier this year (thanks to your generous donations), Michael Nigro covered the historic Poor People’s Campaign, in which activists coordinated 40 days of nonviolent civil disobedience at statehouses in over 40 cities. Nigro is a leading photojournalist for Truthdig, known for his reporting from deep within major events—the infamous protest in Charlottesville, Va.; the massive gun-control demonstration held in the wake of the high school massacre in Parkland, Fla.; the historic Women’s March on Washington; the water protectors’ encampment at Standing Rock; and the Republican and Democratic conventions during the last presidential campaign. You can view some of his work here: @nigrotime. We hope that people who value good journalism as much as we do will provide the funding boost that is so crucially needed. With your support, Nigro and other Truthdig journalists will be able to continue Truthdig's unique brand of media coverage. The story now unfolding at the U.S.-Mexico border is historic. Please give so Truthdig can be there to document it for America and the rest of the world. Your contribution for Truthdig's on-the-ground coverage of activists can be a tax-deductible donation through this campaign or via the Truthdig Fund at Tides. Tax ID: 51-0198509.